NAIHS-College of Nursing (NAIHS-CON) is located at Bhandarkhal, Syanobharyang; a city in the north western part of Kathmandu Valley. The scenic views around the college are awe inspiring with the Swoyambhunath Stupa on its front side and the lust green vegetation of the Halchowk Hill, Ichangunarayan Hill, and Nagarjun Hill in its backdrop. The college environment is quiet and peaceful. 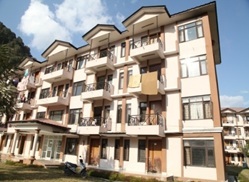 The total land coverage of the college compound is over six hectares (117 ropani). 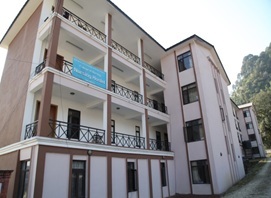 The College of Nursing has a separate four storied building which comprises of academic and administrative sections. The building is equipped with three-phase electricity, generator back–up power and has an adequate water supply with its own water purification system. The college is situated only about 700 meters from the Ring road. The distance between the college and Shree Birendra Hospital (Teaching Hospital) is about two and a half kilnometers. College of Nursing is also proud of the achievements of our student, Ms. Rabina Maharjan, a recipient of the “Nepal Chhatra Vidya Padak” in 2071, awarded by President Dr. Rambaran Yadav, for securing the first position at the Bachelor-Level amongst the students graduating under Tribhuban University- Institute of Medical Studies. She has also received the “Nepal Bidhya Bhusan Padak” ' C' from President Bidya Devi Bhandari on the occasion of 37th National Education Day and was also recently (2073\09\14) awarded the “Vice Chancellor Padak” in the 42nd Convocation Programme of Tribhuwan University (TU convocation 2073 / 2016). And College of Nursing has also received “COAS COMMENDATION” for outstanding result in nursing programme amongest the Nursing College of Nepal on the occasion of Army Day-2073. 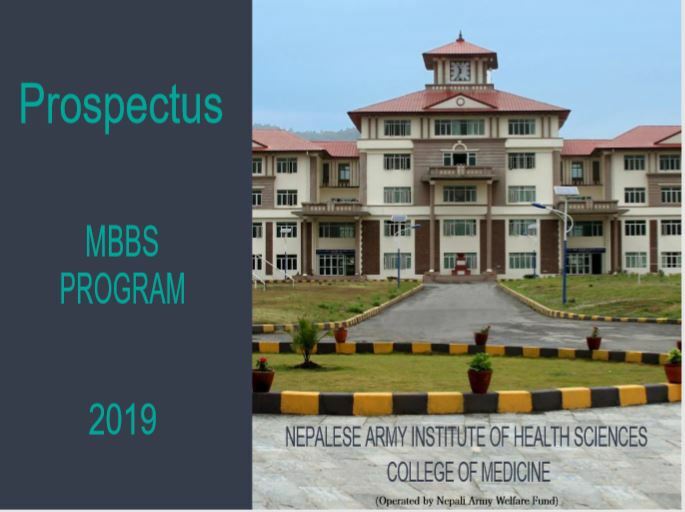 Develop the Nepalese Army Institute of Health Sciences (NAIHS) as a center of Excellence and service oriented premier institution in the field of health sciences fully committed for the nation. To establish academic environment for educating students in the fields of health sciences; to produce competent, compassionate and socially accountable health care professionals for the nation. Objective: The objective of the PCL nursing program is to prepare competent and self-reliant basic level nurses to care for individuals, groups and communities using the principles of primary health care. The objective of the bachelor of nursing program is to produce middle level nursing personnel who are capable of making independent judgment in matters related to nursing; functioning in leadership positions in the provision of health care in the hospital & community; teaching in nursing & other health related institute & conducting research studies in the areas of nursing. The objective of the Generic B. Sc. Nursing program is to prepare academically sound graduate nurses who will be competent to carry out the role of care provider, manager, teacher and researcher in nursing areas. NAIHS -CON library provides computers that support programming on that college. There are also designated workstations at NAIHS – CON that are to be used for accessing online databases. Each campus library also provides wireless internet access to all patrons. The library provides a wide variety of study spaces and facilities within a spacious naturally lit environment. A well -operated machine is available in the NAIHS- CON Library. NAIHS -CON library has fully Internet facility. Online access of most of the Journals is available at HINARI through USERNAME and PASSWORD. •Three separate flat for the warden, duty officer and teacher. •24 hours electricity, IT and Wi-Fi zone. •Adequate space for outdoor and indoor games.